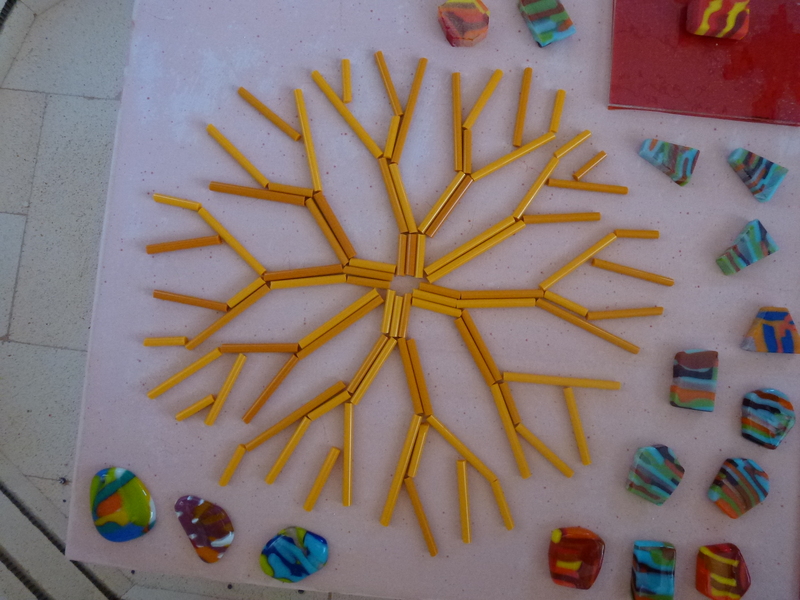 Figure 1…Glass rod pieces arranged on shelf for fusing. 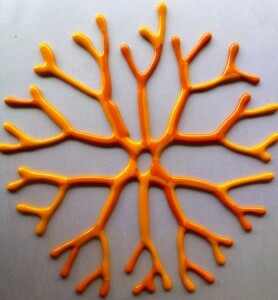 Figure 2…Coral piece after fusing. Figure 3…”Coral Clutch” sculpture created. Figure 4…Carousel basket created from pattern bar pieces. 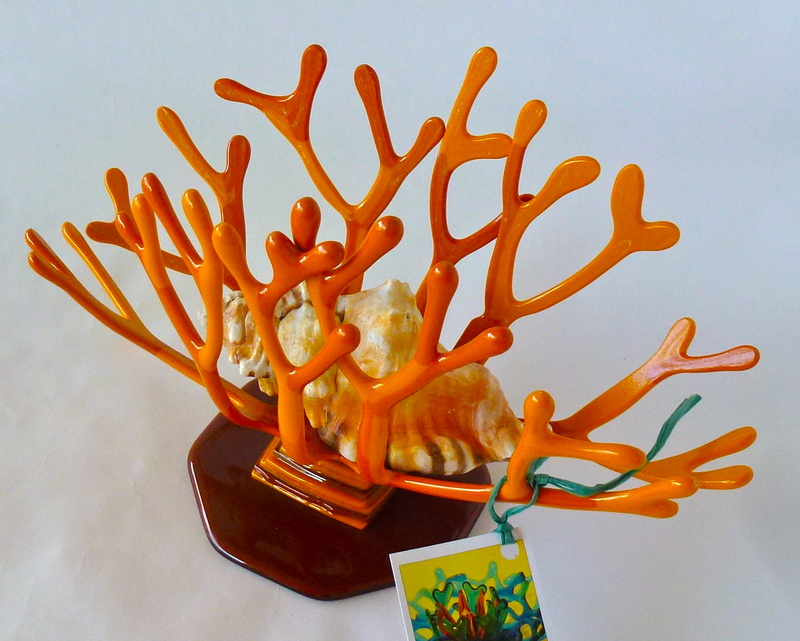 Coral inspired baskets are created by placing pieces of glass rods or strips of glass into an arrangement that simulates coral trees. Figure 1 shows an arrangement of glass rod pieces that will ultimately create a glass coral sculpture. Figure 2 shows the resultant piece after fusing. The resultant snow flake looking piece then needs to be slumped into the desired shape. This was done using a hand built mold a out of special kiln paper that withstands the kiln temperatures. The resultant slump shaped piece was epoxied to a pedestal to result in the piece shown in Figure 3. Carousel baskets are a bit more involved. For these, we take pattern bars, shape them per the design plan, then arrange the shaped pattern bar pieces on the kiln shelf. Segments of thin strips of glass or rods are the placed to interconnect the shaped pattern bar pieces to form the desired Carousel Basket design. 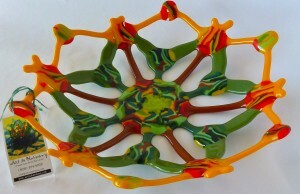 These are fused using the same firing program as for Mosaics, and then slumped into a mold to create the basket shape. Figure 4 shows a finished Carousel Basket.